One aspect of our film-preservation blogathons that I've loved is observing how it's possible to band together for this cause, without ever laying eyes on one another. I've never met my partners Marilyn Ferdinand or Greg Ferrara in person, although if I did, I feel certain I could spot them across a crowded room; Marilyn's energy would be creating a visible force field, and Greg's coolness would have anyone speaking to him exhaling frosted breath. And so I haven't met Eddie Muller of the Film Noir Foundation face to face, and yet I'm crazy about him. He has worked for years to promote the genre he loves, to bring it to more people and proselytize for its artistry and historical importance. Most of all, he's working to keep these films alive for the future. A lot has changed about the ways in which we see movies, and it's well worth going back and taking another look at why we do what we do with the blogathon. To help us set out aims and principles, Eddie agreed to answer some questions that I posed to him via email. Siren: Let's start by discussing the steps involved when the Film Noir Foundation decides to take on a project like The Sound of Fury, aka Try and Get Me. What materials and costs are needed to restore a film? Muller: The first step in any restoration or preservation is locating the best available source material. You hope that it is “pre-print,” meaning that it’s original negative and soundtracks. If those elements are in good shape, that’s your best option for creating a new, pristine version of the film. When it comes to independently produced films, however, it’s difficult to find pre-print elements because the original owner is invariably out of business and the pre-print elements have most likely been lost. In a lot of cases, material gets left at the labs that originally printed the films, and when those go out of business or clean house they’ll deposit what they have at an archive like UCLA … that’s what happened with The Prowler. It wasn’t the negative, but it was a fine grain positive, from which UCLA was able to create a new negative. We’ll always be able to strike fresh prints now, if necessary. Obviously, the cost varies depending on many factors: whether the film is black-and-white or color (we’re lucky with classic noir, as it’s less expensive to restore), the running time, the condition of the material you’re using to perform the restoration, the state of the soundtrack, all of it comes into play when estimating how much it costs to restore or preserve a film. The soundtrack is crucial; everyone always talks about image quality, but sound quality is absolutely as important. So it can vary, from a few thousand dollars to a hundred thousand dollars or more. Ask the Film Foundation about the bill for restoring The Red Shoes. Ouch. 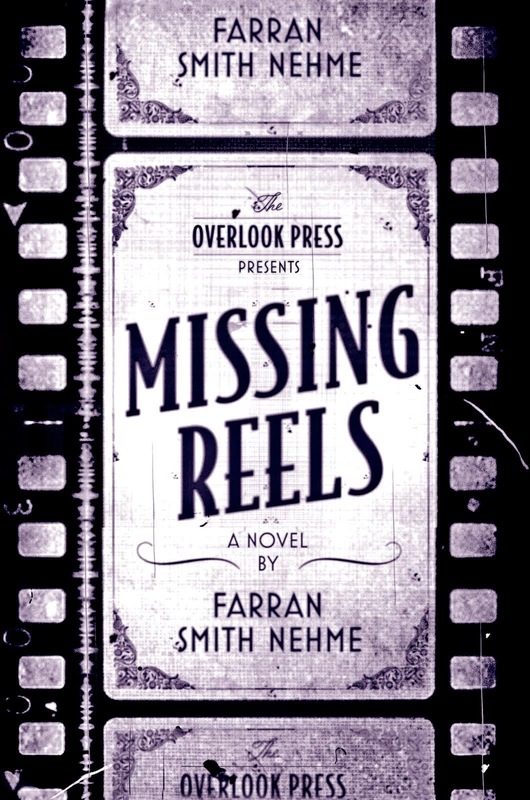 Siren: What is the difference between preserving a film and a full-fledged restoration? Muller: In a preservation project you are not improving or enhancing. You’re simply striking an archival print from the best available material. In 2010 we preserved three 35mm films owned by Warner Bros. that the studio did not have the resources to preserve. Frankly, WB owns so many films that there is no way it can preserve everything in 35mm … and it’s not the only studio faced with this. As films disappear or become debilitated past the point of safe projection (like, ironically, John Garfield’s The Breaking Point) there is no economic incentive for a studio to preserve the film as a film. Two of the three titles we preserved, Loophole and The Hunted, are really obscure and for various reasons (most likely rights issues) will probably never be released by Warner. The studio had the original elements, but no print of either film. 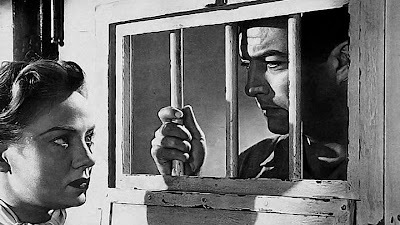 I felt both were significant: Loophole (1953) is a pertinent metaphorical commentary on the Communist witch-hunt (while still being fun) and The Hunted (1948), scripted by Steve Fisher, is an intriguing B film that subverts the genre’s femme fatale tropes. And it was the only one of Belita’s three films noir that seemed relegated to being “lost.” So with these two, it was clearly a rescue mission. These 35mm prints are likely the only way they’ll be seen for the foreseeable future. If the original negative is in good condition (as these were), a preservation is fairly easy for us to finance. We’re typically able to make enough in a single NOIR CITY screening at San Francisco’s Castro Theatre to pay for the cost of a new print. That’s because we can sell out the 1,400-seat house. We can’t fund this work by showing in smaller venues. San Francisco is crucial to the crusade. One of these three recent preservations, High Wall (1947), was already digitally transferred and available as a manufactured-on-demand DVD. But there was no longer a 35mm print of the film. We felt that it was a significant enough example of film noir that it merited being preserved in its original format. So we paid to strike a new print from the original negative, and that print will be archived at UCLA. It can be shown, with the permission of the Film Noir Foundation and rental payment to Warner Bros., in venues certified by the Federation of International Film Archives (FIAF). I really wanted to show that film at the last San Francisco NOIR CITY festival, where I always make a big deal out of screening films not available on DVD. Well, when I created the program High Wall wasn’t on DVD, but then it was added to the Warner Archive Collection because they had a digital master, probably from when it was shown on Turner Classic Movies. Regardless, High Wall is an important film in terms of how movies in the forties dealt with veterans’ issues, mental illness, etc. So I felt that it was essential it exist in the form it was created, and not just as a DVD. When we do a restoration, it generally means no pre-print material exists. The goal is to create, from various sources, a new negative from which prints can be struck in perpetuity. These are more labor-intensive, long-range projects, where you have to really scour the earth for material. You don’t want to get in the middle of a restoration and then discover a decent negative of the film in an archive somewhere. We’re finally “cornering” Too Late for Tears after several years sourcing prints. We may have enough now to actually restore that film with confidence. Siren: What's the ultimate goal of a Film Noir Foundation restoration project? Eddie: To me, it’s two-fold: to ensure that films will exist for future generations as they were originally created—and, just as significantly for me, to respect the artists who created these films by refusing to let their work vanish or degenerate. Siren: How does the foundation determine which films it will choose to restore? Eddie: Well, it better be a good movie. I know that’s a little subjective from a pure preservationist’s perspective, but it’s the first thing I think of. Is it a good story? We also consider its historical significance. The Prowler, for example, was an obvious choice. A “lost” Losey film and one of his best; a script written by Dalton Trumbo during his blacklisting, produced (silently) by John Huston and Sam Spiegel, and its cachet as being a very smart and subversive film that had literally slipped through the cracks. It’s also important to understand that restoring a film isn’t merely about posterity. It can give a film new life, and in some cases led to a reassessment of an artist’s work, and a very valuable sense of cultural completion. I think of some of these missing titles as “ghost films,” and when we restore them we are actually bringing them back to life. Siren: Finally, let's talk about the availability of movies, versus their state of preservation. Recently, the number of once-rare movies available for streaming on the Internet has exploded. The Sound of Fury is itself available for download on Netflix Instant. Should that make us feel more sanguine about the condition of the films on offer? Eddie: It’s an intriguing issue. New technology is fabulous for making otherwise hard-to-find films available for convenient viewing. For educational purposes it’s brilliant! Teachers can assign students to watch films that they’d never have access to otherwise, and it costs next to nothing. But is having access to a streaming version of a film, or even a DVD, the same as actually preserving it? Ask anyone who has seen any DVD or online version of Too Late for Tears if they feel those editions are sufficient. It’s like watching the film underwater. Think a DVD is a preservation copy of a film? Call me when it gets scratched. A film gets scratched and it still plays. Scratch a DVD, it’s kaput. Digital is also a wildly volatile medium. Ask any filmmaker who projects their work from a DVD—it looks different every time, depending on a myriad of factors. If you concede that having a digital version of the film is sufficient, then you run the risk of that film “deteriorating” as equipment suppliers push for newer and sharper ways of viewing a “film:” Dave Kehr last year wrote a crucial essay in the New York Times about how the trend toward high-definition imagery could actually hurt chances of older films ever making it to this new medium, because the obsession with image sharpness was creating a generation of viewers who could reject older films as inherently flawed if they didn’t translate well into hi-def. Don’t get me wrong: I am not anti-digital. The cost of shooting film anymore is crazy; from an economic standpoint, I’m glad movie production has moved to digital, it makes sense. But films that were made as films should be preserved as films—it’s not that expensive to ensure it. Perhaps all of the films we restore will eventually be available digitally. That would be wonderful … but it won’t happen unless they are first restored as films. For me personally, and I know many others share this sentiment, digital does not replicate the glorious luster of light projected through celluloid. The digital image is flatter and less alive than a film image. As far as I’m concerned—and a lot of other people will agree—motion pictures never looked better than they did in the mid-20th century, and they never will again. We should celebrate that by preserving those films in their original format. The filmmakers deserve that honor. Too Late For Tears is one of my all-time fave Lizabeth Scott's. David, I confess to having always found Scott a hit-or-miss screen presence, but I completely agree that Too Late for Tears brought out the very best in her. A silkily sinister performance. "The digital image is flatter and less alive than a film image. As far as I’m concerned—and a lot of other people will agree—motion pictures never looked better than they did in the mid-20th century, and they never will again. We should celebrate that by preserving those films in their original format. The filmmakers deserve that honor." Such an important observation, and so well put. Since I'm basically a film-preservation neophyte, this was very helpful to me! And I completely agree that a DVD is not enough (although I love the things). Greg's coolness would have anyone speaking to him exhaling frosted breath. Wow, I've got to find a place to put that so everyone can see it. Marilyn and I had lunch a couple of months back when she was in DC and she's headed here again in a couple of weeks. This time, maybe we'll do dinner and a movie. She's great company! At some point, you'll meet up with us too, I'm sure of it. Current digital technology may be obsolete within the next 20 years as the marketplace inexorably pushes for newer delivery systems. We cannot predict the future, and have little control over it. What we can do is protect what we know is valuable from our past. Eddie is exactly right on this and, as he touches on further down in the interview, digital preservation is not the same thing as preserving an actual print. Not only can a DVD die after being scratched, as he notes, but recent evidence (available in Scientific American, where I first read it) plainly shows that the CDs and DVDs that everyone thought were indefinite in their longevity when it all started in the 80s and 90s, now appear to have a much shorter life span than anything else. As Eddie mentions with film still working after being scratched, so does an LP record. CDs and DVDs do not. And now, some 22 years after beginning a CD collection and around fifteen years after starting a DVD collection, I have already noticed that some simply don't work anymore. They have no scratches, smudges or damage of any kind. They just don't work anymore. Period. Preserving the actual reel of film is vital to the preservation of cinema. Anyone who thinks that because digital technology has come along we're out of the woods and don't have to worry about losing anymore films is living in a fool's paradise. Preserving film, actual film, is as important as it ever was, perhaps more, since now so many assume it's unnecessary. DavidEhrenstein, couldn't agree with you more about Lizabeth Scott -- so alluring and engimatic. One of my all-time favourite actresses. I love the thought of a glistening, pristine new version of Too Late for Tears. "As films disappear or become debilitated past the point of safe projection (like, ironically, John Garfield’s The Breaking Point) there is no economic incentive for a studio to preserve the film as a film." So does this mean we'll not be seeing a Warner's Archive DVD of The Breaking Point? It was on the schedule at some point. 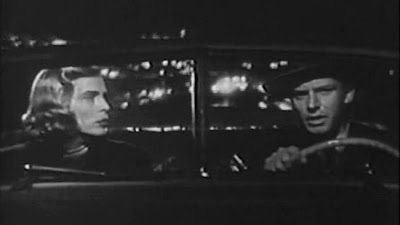 Film Noir Coda: "And Then, Mr. Krock..."